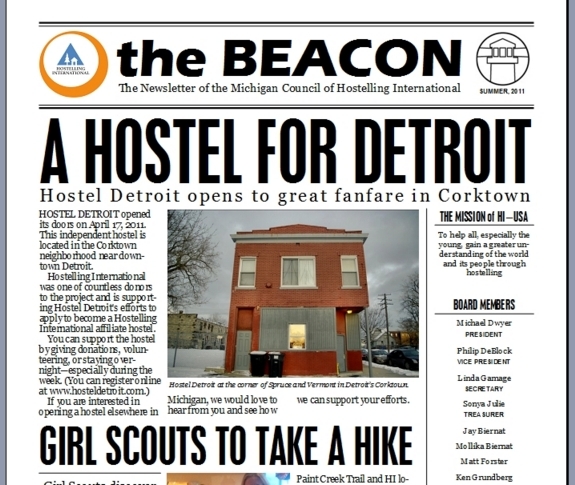 The Michigan Council of Hosteling International gives me a chance to try new things. I sit on the board and oversee the communications/marketing committee. As such I’ve cranked out a couple newsletters. My fellow board members provide most of the content, but they let me handle the design. Here’s a screenshot, but I will be posting the PDFs soon.